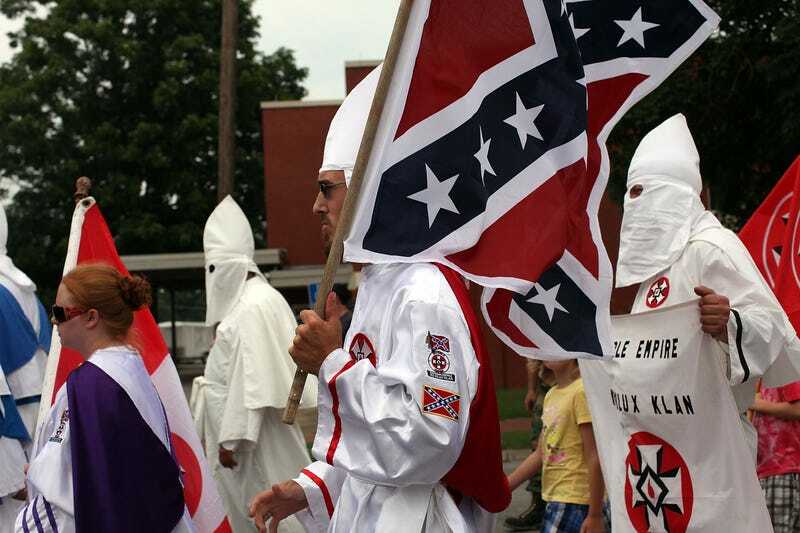 Black lawmakers in Tennessee’s House of Representatives were incensed late last week when they learned they had been duped into voting for a resolution honoring the first grand wizard of the Ku Klux Klan. and the resolution was “tabled for summer study”—which is the Tennessee Legislature’s nice way of killing a bill. Instead of letting it go (because if everyone could listen to reason and let stuff go, then racists would cease to exist), Sparks instead introduced another bill—this one honoring a Louisiana pastor. The measure was bundled with a few other honors celebrating a cheerleading team and a high school salutatorian and passed 94-0. Sounds legit, right? Except Sparks’ second bill contained all the language of the first bill. But it was too late. Members of the House Black Caucus were upset because Republicans had pulled a fast one on them. In response, Sparks said he was sorry for the confusion. Sparks is a well-known advocate of Confederate history, and sometimes organizes events to honor Confederate Civil War “heroes.” When the black lawmakers argued about his duplicitous inclusion of the KKK leader hidden in the second resolution, Sparks responded: “Well, whose fault is that? Resolutions passed by the Tennessee House are not signed by the governor and cannot be vetoed. Read more at Nashville Patch and The Tennessean.